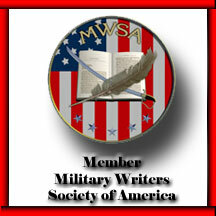 Recognition by MWSA review and/or award helps in your marketing and "brand-building"
* Source: Comparison of IndieReader, Kirkus, Self-Publishing, and BlueInk Review sites (Review cost $195-$495). An Active Member pays a prescribed annual dues and must have served in the United States military, is presently serving in the United States military, or is an immediate family member of one of the above, or is an active writer of military related books and/or articles that do not disparage the United States military. Most of us are veterans—or spouses of veterans—but we're basically looking for people who care about our country and its military. You can use the contact form on this page to let our membership personnel help fix whatever isn't working! Check out our "Now What?" series. Find out what to expect after you join. Have a membership question or concern? Just fill out this form.